Air Chill Technology is a method of chilling dressed chicken. Chilled air is used for this method as it reduces the temperature of the dressed chicken to < 4°C. Chilled water is sprayed at regular intervals to avoid the surface of the dressed chicken from drying. 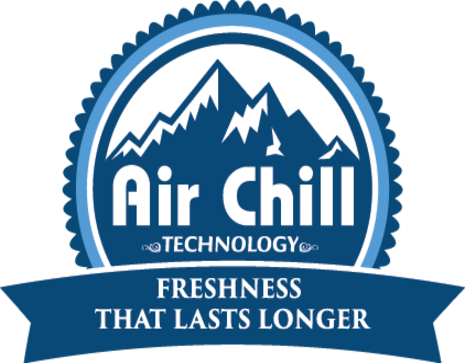 Air Chill Technology utilizes a minimum amount of water. Unlike immersion chillers, the batches of dressed chicken do not get mixed up. Also, this helps in traceability of the batches. Water pick-up and drip loss are minimal when this technology is used. © 2015 CP Foods. All Rights Reserved.